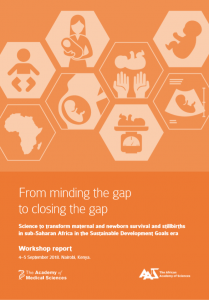 About 2·6 million third-trimester stillbirths occur annually worldwide, mostly in low-income and middle-income countries, where the causes of these deaths are rarely investigated. 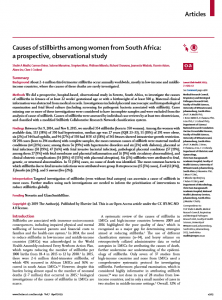 We did a prospective, hospital-based, observational study in Soweto, South Africa, to investigate the causes of stillbirths in fetuses of at least 22 weeks’ gestational age or with a birthweight of at least 500 g. Maternal clinical information was abstracted from medical records. Investigations included placental macroscopic and histopathological examination and fetal blood culture (including screening for pathogenic bacteria associated with stillbirth). Cases missing one or more of these investigations were considered to have incomplete samples and were excluded from the analysis of cause of stillbirth. 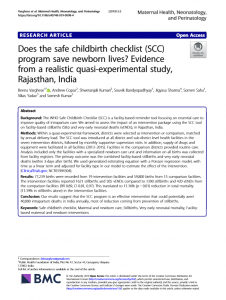 Causes of stillbirths were assessed by individual case reviews by at least two obstetricians, and classified with a modified Stillbirth Collaborative Research Network classification system. Between Oct 9, 2014, and Nov 8, 2015, we enrolled 354 stillbirths (born to 350 women). Among the women with available data, 133 (38%) of 350 had hypertension, median age was 27 years (IQR 23–33), 51 (18%) of 291 were obese, six (2%) of 344 had syphilis, and 94 (27%) of 350 had HIV. 63 (18%) of 341 fetuses showed intrauterine growth restriction. 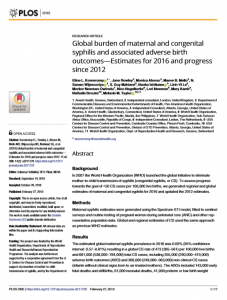 Of 298 cases (born to 294 mothers) with complete samples, the most common causes of stillbirth were maternal medical conditions (64 [21%] cases; among them 56 [19%] with hypertensive disorders and six [2%] with diabetes), placental or fetal infections (58 [19%]; 47 [16%] with fetal invasive bacterial infection), pathological placental conditions (57 [19%]; among them 27 [9%] with fetal membrane and placental inflammation and 26 [9%] with circulatory abnormalities), and clinical obstetric complications (54 [18%]; 45 [15%] with placental abruption). 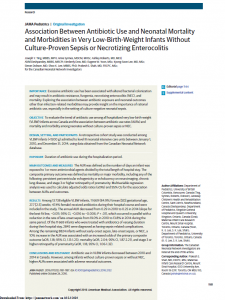 Six (2%) stillbirths were attributed to fetal, genetic, or structural abnormalities. In 55 (18%) cases, no cause of death was identified. 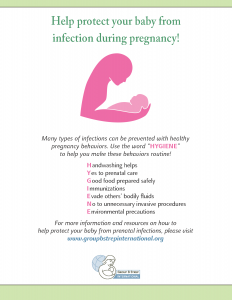 The most common bacteria to which stillbirths due to fetal invasive infections were attributed were group B streptococcus (15 [5%] cases), E coli (12 [4%]), E faecalis (six [2%]), and S aureus (five [2%]). Targeted investigation of stillbirths (even without fetal autopsy) can ascertain a cause of stillbirth in most cases. 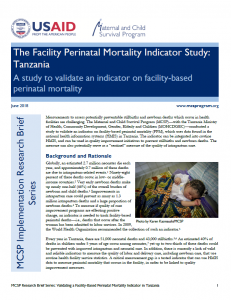 Further studies using such investigations are needed to inform the prioritisation of interventions to reduce stillbirths globally.